Getting into a car accident in Oklahoma or elsewhere, the least you can expect is to be inconvenienced with small damages. A cracked windshield, for instance, or a couple of chips in your car’s paint. In these cases, it’s only a matter of exchanging information between the drivers involved, and their respective insurance companies will take care of the matter. Sometimes, though, the situation is a lot more serious than the usual, casual traffic mishap and will require the involvement of a lawyer. 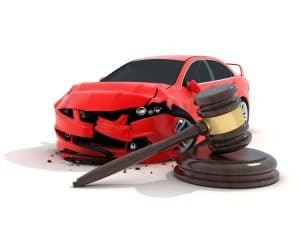 If you are on the receiving end of injuries and damage because of the accident, then you will need a lawyer to represent you as claimant for recompense against the liable party. As the victim, you have to gauge for yourself if this is a matter that can be settled out of court or if you would like to pursue the case in court with help from an experienced Oklahoma City car accident lawyer. To have a successful claim for damages, you must be able to show that the other party did not exercise due diligence and care while they were driving, and so his or her actions resulted in your injury. The injury may not only be physical in nature, but could also be emotional or psychological, enough for it to hinder you from carrying on with your normal day-to-day activities. Sometimes, injuries do not always show up immediately after the accident. A broken bone, for example, may heal but later on show that you cannot regain the limb’s full functionality. It becomes more crucial that you seek compensation if your injury affects your mobility and actions, and, ultimately, your capacity to earn a living. These connections must be intricately made to clearly showcase liability on the part of the defendant. Your lawyer must be able to show that the damages you incurred were directly caused, or at least related, to your car accident. You have to act fast, though, because each jurisdiction have a statute of limitations, or only a limited period of time when you can make such a claim. If you miss it, you might as well consider the window of opportunity closed, and would have to pursue the matter out of court. That is why it is crucial that you speak to car accident lawyers, such as those from firms like Little, Oliver & Gallagher, so that you can learn about your options as soon as possible. When to Hire a Personal Injury Attorney. DMV.org. Top 10 Questions to Ask Your Car Accident Lawyer. EnlightenMe.com.